Key Difference: Current accounts were designed for business people, while savings accounts were designed for general salaried people. Also, savings account were created with the purpose of saving money and that’s why provides an interest on the account, while current account was simply designed for the purpose of making it simpler for business people to conduct transactions. For a lot of people, banking can be very stressful and rightfully so. The number of paperwork, different forms, signatures, banking jargons, etc. can definitely be too much. This is why a lot of people are not sure of the different types of services that they are available at their disposal. 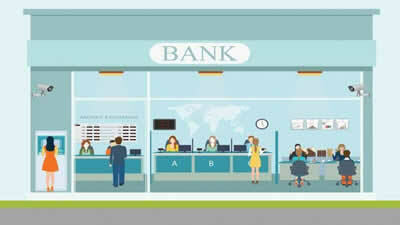 When a person goes to open an account at a bank, they are most likely to be stuck with a Savings Account. This is the most common type of account that is used by general people. However, there are definitely other types of accounts that they can use such as a current account. Not a lot of people know or use current accounts, which is why they are often confused when faced with the option if they should open a current account or a savings account. There is a very simple difference. Current Accounts are not common, at least not when it comes to the general public. In some countries, they are also known as checking accounts. However, this account is most likely to be found in businesses. This specific account was designed for businesses and traders that require multiple transactions in a day. This is why they don’t have a limitation on their transaction, and they also require a high minimum requirement which means they need to maintain a higher certain amount in their account in order to keep from getting charged. Current accounts are also no interest bearing account, so the money maintained in the account will not occur an interest. Lastly, many banks also allow current account holders to overdraw funds from their account in the form of loans. On the other hand, savings account are one of the most common types of account. Most likely if you are a salaried individual, then you probably have a savings account. This type of account was created for the sole purpose of allowing holders to save money. This is why these accounts are interest bearing, which allows holders to collect interest (around 3-4%) on the money in the account. Since, general people don’t make multiple transactions in one day, this type of accounts come with limitations on financial and non-financial transactions and does not allow overdrawing. This is basic difference between the two accounts. Current accounts were designed for business people, while savings accounts were designed for general salaried people. 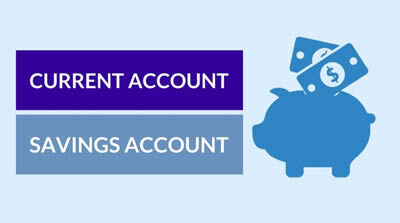 Also, savings account were created with the purpose of saving money and that’s why provides an interest on the account, while current account was simply designed for the purpose of making it simpler for business people to conduct business transactions.